DAVID LE/Staff photo. 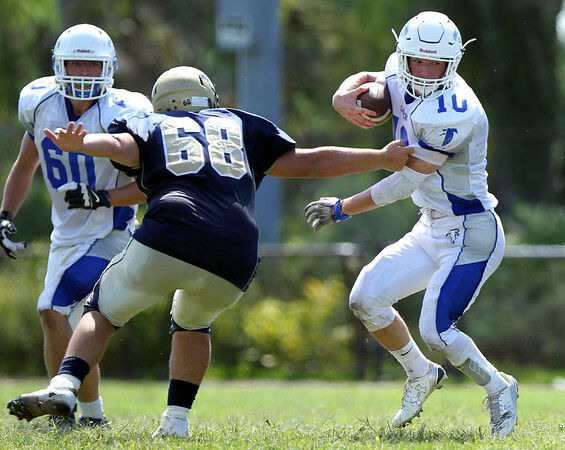 Danvers junior Matt Andreas (10) jukes away from Winthrop junior Luigi Spinazzola (68). 9/12/15.